Breast Cancer Awareness Month is wrapping up, but there’s still time to shop for some pretty pink products that will give back to some very important breast cancer charities and organizations. Today I’m sharing three of my favorites, from three of my favorite companies. You’ve seen me wear all of these on Instagram recently and I am donating any affiliate commission I make from the sale of these products, so I encourage you to shop for this important cause and enjoy your pretty pink purchases! Talbots // It snowed here yesterday, so I’d say that’s a pretty good indication that it is blanket scarf weather. Why not pick up a pretty blanket scarf that gives back? 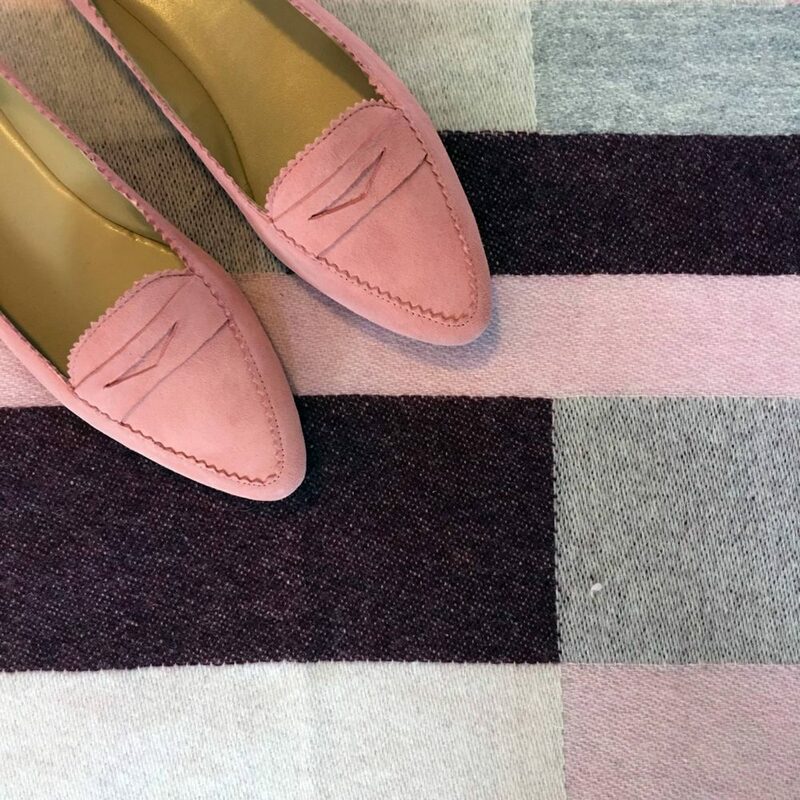 Through October, 20% of the net proceeds of our this cozy, chic colorblocked blanket wrap will benefit the National Breast Cancer Foundation in providing the tools for early detection and education. Kendra Scott // This month, Kendra Scott has curated a special collection of six styles (earrings and necklaces) made with light pink druzy, rose gold druzy and rose gold – perfectly pink, you might say! They will be donating 20% of sales (up to $25,000) to the Breast Cancer Research Foundation. To make things even better, Kendra Scott will gift a piece of Rose Quartz jewelry to women battling breast cancer. Rose Quartz is actually known as a healing stone and will hopefully brighten the day of a woman who really needs it. 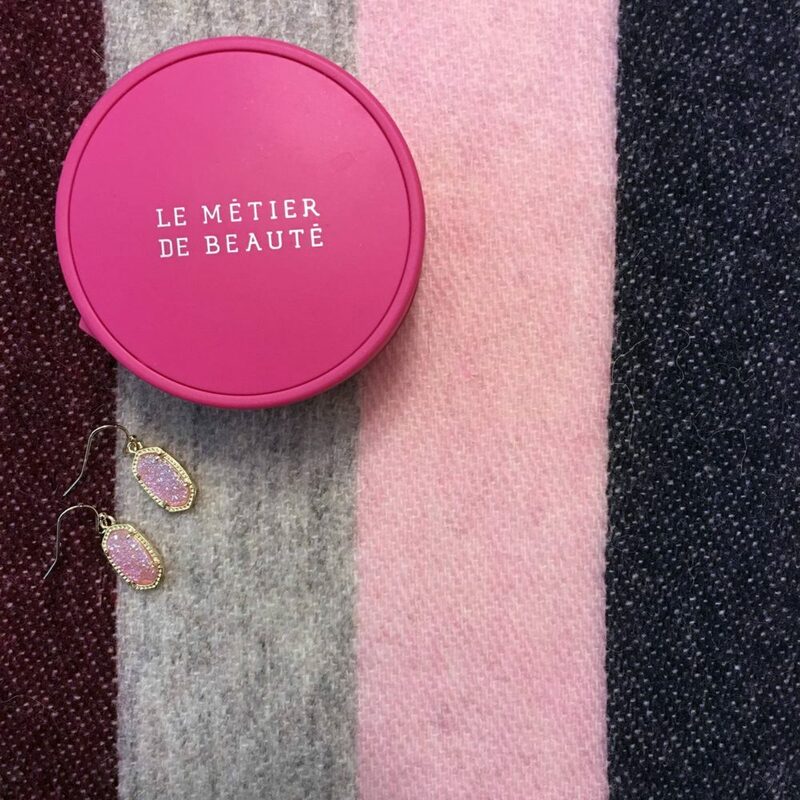 Le Metier de Beaute // For the second year in a row, Le Metier de Beaute has released a beautiful new kaleidoscope in support of Breast Cancer Awareness. The Face of Beauty Kaleidoscope contributes to the cause with love from LMdB but also with a donation of 30% of kaleidoscope sales to local nonprofit breast cancer organizations during the month of October. The kaleidoscope itself is a palette of versatile neutral colors that work on all skin tones and is meant to make every woman glow and feel beautiful! Such a good cause! I’ll def be taking a look! Love those shoes! Such an amazing cause! What a great post! I love to shop, but especially when it’s for such a great cause! Such a great post! I lost my grandmother to breast cancer and my aunt had it, too, so this hits super close to home. I always love shopping for this cause. I need those pink flats ASAP! Such a great cause – so glad to hear such great brands are behind them! I love brands that do give backs for important causes! Great round up!